Donald E. Rainard, 61, of Plant City, passed away April 2, 2019. Donald worked for the city of Plant City for 20 years. His family was his prize. The family will be having private services. Mary Elizabeth Kohl Polumbo, 102, of Dover, passed away April 1, 2019. A Funeral Mass will be celebrated at St Francis of Assisi Catholic Church, on Monday, April 8 at 11:00 AM, with a Visitation and Rosary at 10 a.m. Interment will follow at St Mary’s Cemetery, Ravenna, Ohio. Memorials may be made to St Francis of Assisi CC, Moffitt Cancer Center, or to your favorite Charity. John Michael Jones “Mangler”, 38, of Mulberry, born on March 16, 1981, entered into eternal rest on March 30, 2019. 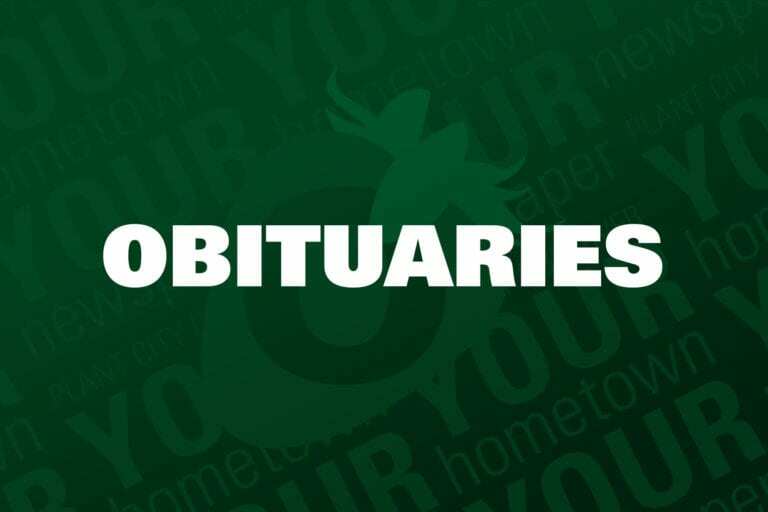 Marlene L. Hackett, 77, of Plant City, passed away on March 29, 2019. Services will be held at a later date in Connecticut. Joe Woods, 64, of Plant City, passed away March 28, 2019. The family will be having private services. Walter E. Dummeldinger passed away on March 11, 2019. A Celebration of Life service is scheduled for April 13 at 2 p.m. with visitation from 1 p.m. to 2 p.m. at Loyless Funeral Home, 5310 Land O’Lakes Blvd, Land O’Lakes, FL 34639. Hollis L. Everett Sr., 70, of Plant City, born in Valdosta, Georgia on Aug. 3, 1948, entered into eternal rest on March 30, 2019. Donald C. “Don” McKean, 75, of Lakeland, born on Dec. 8, 1943 in Waukegan, Illinois, entered into eternal rest on March 29, 2019. Peggy Sue Flowers, 60, of Seffner, born on Aug. 20, 1958 in Loris, South Carolina, entered into eternal rest on March 29, 2019. Alan P. Tupman, 61, Lieutenant Commander, U.S. Navy, Retired, of Lithia, born on Nov. 30, 1957 in Patchogue, New York, entered into eternal rest on March 20, 2019.